Community activism is alive and well in New Orleans at the grassroot level. One group, The New Orleans Peoples’ Assembly (NOPA), is in the vanguard of addressing social injustice and human rights violations by people with both political and economic power. “The all Black working-class community of Gordon Plaza that was built on toxic soil by the city of New Orleans is still sitting on that toxic soil, in spite of the city’s ability to relocate the remaining residents. There are no longer nearly 5,000 households to contend with on the former Agriculture Street Landfill in the upper 9th Ward,” says Angela Kinlaw, community organizer with NOPA. “Many people here have lost loved ones to cancer and several face health concerns that they believe are related to the toxic contamination that they are sitting on top of,” said Marilyn Amar, a homeowner living in Gordon Plaza. On Wednesday, March 13, at 9 a.m., homeowners will be in courtroom C501 of the U.S. Eastern District Court located at 500 Poydras Street, where attorneys will make their case before federal Judge Ivan Lemelle. They will ask the judge for a ruling that makes the city of New Orleans liable for damages incurred by the Gordon Plaza residents and award the plaintiffs enough money to purchase homes on safer ground. For the past two years, NOPA has joined with the New Orleans Hospitality Workers Alliance (NOHWA) in protesting for better wages and benefits. The tourism industry workers are demanding their fair share of the billion dollars generated annually by New Orleans’ hospitality businesses and organizations. NOHWA and NOPA are staging an “International Working Women’s Call To Action” on Saturday, March 16, at 2 p.m. in Congo Square, located 701 North Rampart Street in New Orleans. NOHWA and NOPA are also demanding the redistribution of what they call $180 million in “stolen tourism industry taxes.” Their fair share plan includes $50 million for sick leave, maternity leave, vacation pay and a pension fund for hospitality workers. Another $50 million would be used for healthcare; $40 million for free and accessible childcare centers, $20 million for early childhood education, and $20 million for infrastructure and fixing the streets. • Hotel guests in New Orleans pay 16.35 percent in hotel taxes on their room charges. 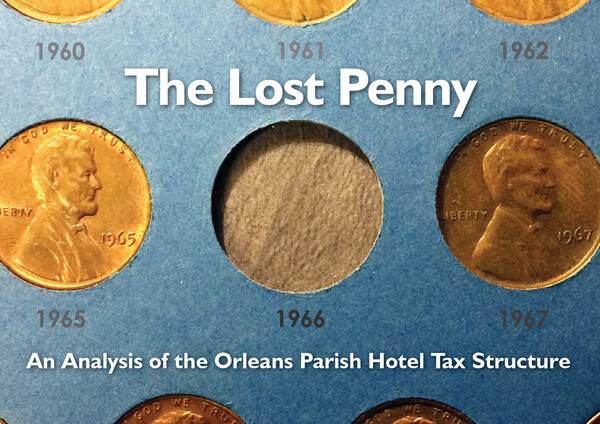 Hotel taxes will yield an estimated $200 million in 2019, accounting for about one-sixth of all local tax revenues in Orleans Parish. Of this amount, 75.5 percent, or $150.9 million, goes to entities that support tourism marketing, conventions and professional sports. The share for general municipal purposes is 9.5 percent, or $18.9 million. However, a look at hourly wages for some in the hospitality industry shows that those workers are paid a pittance of what their work produces for industry leaders. In New Orleans, retail salespersons earned $11.85 per hour, maids and housekeeping cleaners $10.14, and cooks and fast food workers, $9.63 10.39, according to a U.S. Bureau of Labor Statistics, Occupational Employment Statistics Report released in May 2017. The BSL also the number of people employed in the tourism industry in the New Orleans area at 91,000. The billion-dollar industry and its beneficiaries haven’t gone unnoticed. New Orleans Mayor LaToya Cantrell has launched a Fair Share Program, which outlines what she will do with the city’s fair share of the tourism pie. She is also seeking the one percent of hotel occupancy revenue the city suspended in 1966, to allow for the funding for the Louisiana Superdome. The city never got that revenue stream back. “This year, the New Orleans hospitality industry will generate more than $200 million in hospitality tax revenue, but the City of New Orleans receives less than 10 percent of that money to be used for vital city services. 70 percent goes to four tourism related, of which the City of New Orleans has no oversight authority,” Mayor Cantrell wrote. Cantrell would use the city’s “fair share” of that money, if she can wrangle it out of the state and tourism industry, for infrastructure and drainage improvements, among other uses. “The New Orleans City Budget is $615 million dollars. Of that amount 63 percent is used for cops, jails and reactive programs three percent for Children & Families; one percent for Job Development and the remaining is spent on other city operations. Imagine if 63 percent were invested into children, families and job development,” organizers posted on the group’s website. • Year-long jobs, recreation, mental health services for youth and adults, and an adult jobs program of at least 10,000 public jobs with living wages; affordable housing and a roll back on taxes to Pre-Katrina levels for households under $75,000; 100 percent funded relocation of Gordon Plaza residents; adoption by the tourism industry of “The Hospitality Workers Bill of Rights” and a relative work week ordinance to be City- approved; full funding and the building of 40,000 Homes for New Orleans residents who were pushed out in the aftermath of Katrina; quality community controlled public schools; improved and timely 24 Hour RTA bus routes, especially in New Orleans East and Algiers; improved bus stops with adequate seating and protection from inclement weather; pot-hole free streets; full funding or building of 100 (24-hour) community based child care centers; New Orleans to serve as an official sanctuary city, so that all residents are safe from state-sanctioned violence, or deportations; the removal of traffic/profiling cameras; and full accountability (including Consent Decree) for all police who operate in Orleans Parish. This article originally published in the March 11, 2019 print edition of The Louisiana Weekly newspaper.